The quintessential lodge experience! The Lake Placid Lodge is a gorgeous, Arts and Crafts-style structure located on the shores of its namesake and surrounded by a dense forest known as the “North Woods.” Accommodations include suites in the main lodge and lakeside cabins, each with its own stone fireplace and stunning views of the wilderness. During the winter, enjoy downhill and cross-country skiing, ice skating, snowshoeing, ice fishing, and the nearby Lake Placid Olympic Sports Complex where those that feel the need for speed can brave a ride with professional bobsledders. Once the snow melts, take to the water for kayaking, boating, fishing, or explore the thousands of miles of hiking trails throughout the Adirondacks, or hop on two wheels and head to Whiteface Mountain Bike Park. 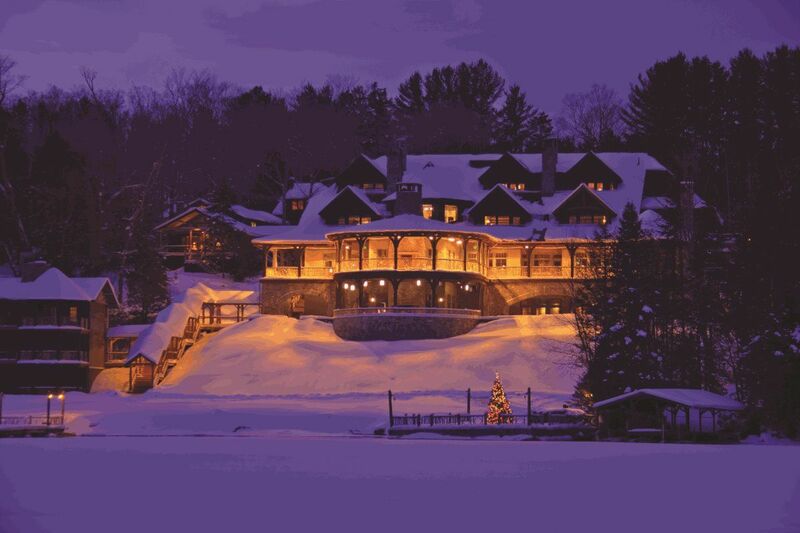 The Lake Placid Lodge is an all-season getaway for the outdoor-loving TrailblazerGirl!